Maltipoo is the name of the hybrid cross between the Maltese and the Poodle. This kind of hybrid seems to be born with so much love for human race. Each of them is a joy and pleasure to raise. This one has the best little personalities.they are friendly and secure in the knowledge that they are loved from the beginning. There is nothing could compare to the love they give. For those who are living in New England (Maine, Vermont, New Hampshire, Massachusetts, Rhode Island, and Connecticut) and are looking for a breed called Maltipoo, you are in the right place as you will be informed about the Maltipoo breeders in New England. Some of Maltipoo breeders in New England that you can visit are Pine State Poodles (Saint Albans, ME), aTender1’s Puppies (Norway, ME), a breeder based in Ew Hampshire Pembroke, NH, Pet Grooming (Millbury, MA), New England Falconny (Hadley, MA), and many more. aTender1’s Puppies is one of the members of the North American Maltipoo Club and Registry. As stated before, this one is based at 560 Harrison Rd, Norway, ME. How much does it cost for a Maltipoo puppy from this breeder? 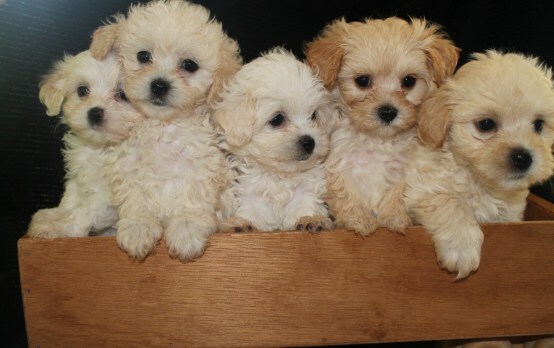 As displayed on the official website, Maltipoo costs $700 for males and $800 for females. Apparently, tax is not included in the price above. The Maine sales tax is 5.5%. The prices mentioned before include shots, worming, and the puppy care package. Aside from the litter, this breeder also offers the adults that are retiring. Each of them costs from $200 to $500 plus tax. Is there any deposit that you have to pay? The answer to the question is yes. There is minimum deposit of $100. Just like any other deposits, this deposit is also non-refundable, except for reasons stated on the deposit agreement. Please do not forget that the balance will be due before or when picking up puppy. aTender1’s Puppies accepts the personal checks for deposit and up to 14 days prior to picking up the puppy. Besides, this breeder also accepts the credit cards and payment through Pay Pals. Talking about the puppies, they will be ready for homes between 8-16 weeks. If you want to ship the puppy, you have to pay $350 for shipping by air. This cost includes the health certificate, crate, food and water, blanket, and transport to the airport. All the arrangements for shipping are made by the breeder. If you want another way, the breeder offers ground transport for the fee and can meet you anywhere. In addition, they also can meet you at the airport for a fee if you fly in to get your puppy. If the puppies are not picked up within one week of the scheduled ready to leave day, you will be charged $5 per day and $15 for any additional shots needed. For more information about aTender1’s Puppies, please visit the official website of aTender1’s Puppies. If you have any question, do not hesitate to ask to the representative.